Our water damage Flower Mound crew is available 24/7/365 so that 911 Restoration Fort Worth can help you with water removal as soon as possible. Water damage causes significant damage within homes and should be handled immediately. We value professionalism, and with years of experience in the disaster restoration industry, we know how important it is to provide a quick service. In addition, the city’s water line can back up, causing toilet overflow, washer burst, and plumbing leaks. We will respond within 45 minutes and use the latest drying technology to ensure haste and efficiency. We offer and affordable price and same day service to help houses cover from all of these tragedies. Call us when you have ceiling leaks and we will provide water damage restoration services. If you have ceiling leaks, call our water damage Flower Mound specialists and we will be there as soon as possible to start pumping water from your home. Long lasting leaks can result in mold spores going and a fungus infestation, 911 Restoration comes prepared to provide mold removal as well. The sooner you contact us, the sooner your home will be returned to normal. If the water could be coming from your plumbing, it is important you shut it off as soon as possible. Electrical components should also be shut down in order to avoid short circuits. Once drying and clean up is complete, our water damage Flower Mound experts provide a free inspection to check for mold. If we find any, we will get to work on mold remediation. We are working with all insurance companies to make sure you get an affordable price on water extractions. Call our water damage Flower Mound technicians with 911 Restoration Fort Worth for help protecting your home, and your homeowner’s insurance may pay for the entire water damage restoration today! Homeowner’s insurance will cover water damage if you are a responsible homeowner and 9our water damage Flower Mound technicians can help you with that. Ruptured hoses, toilet overflow, and rain leaks are all covered under a homeowner’s insurance policy. Installing a sewage back flow valve prevents returning water from entering your home in the event of municipal water line floods. Regular plumbing repairs helps keep your property safer longer. These preventative steps protect your home from these many water damage emergencies and show your insurance company that you have put an effort in to save your home. According to the Insurance Information Institute, water damage is one of the most common reasons for insurance loss. Having our water damage Flower Mound specialists file your insurance claim is a good way to get the most out of your coverage because we have years of experience working with all insurance companies. 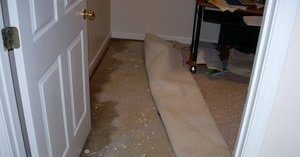 When you need exert water removal at an affordable price, call our water damage Flower Mound team with 911 Restoration Fort Worth because we are the best water damage restoration company today!